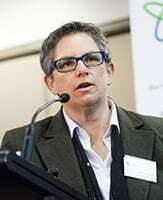 11 October 2017: Professor Billie Giles-Corti spoke to RN Breakfast about the release of a new report that measures liveability in Australia’s state and territory capital cities. 1 August 2017: Jan Shanthosh writes for The Conversation why public health impact should be taken into account when courts consider development applications for liquor outlets. 3 July 2017: Prevention Centre nutrition expert Professor Amanda Lee discusses the deteriorating quality of Australians' diets. 30 June 2017: In the first study of its kind, lead author Jan Muhunthan found that in more than 75 per cent of cases across Australia, the courts found in favour of the alcohol industry. 27 June 2017: Australian policy makers should target the most physically inactive to achieve the greatest societal gains, say the chief architects of England’s much-lauded participation policy. How much does Australia spend and is it enough? was launched at Parliament House. 1 June 2017: Chief Investigator Professor Sharon Friel and Scientific Advisory Committee member Professor Diane Finegood spoke to the ABC’s Life Matters about the wicked problem of obesity. 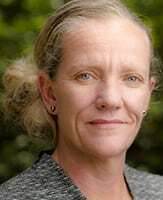 5 April 2017: Deputy Director Sonia Wutzke's opinion piece in the Australian highlighted the benefits of our approach to partnership research.